This module allows you to accept payments securely via the Payfast payment gateway. Payfast is one of the cheapest payment gateways in South Africa and a lot of startups needing a way to accept online payments will find it useful and easy to work it. 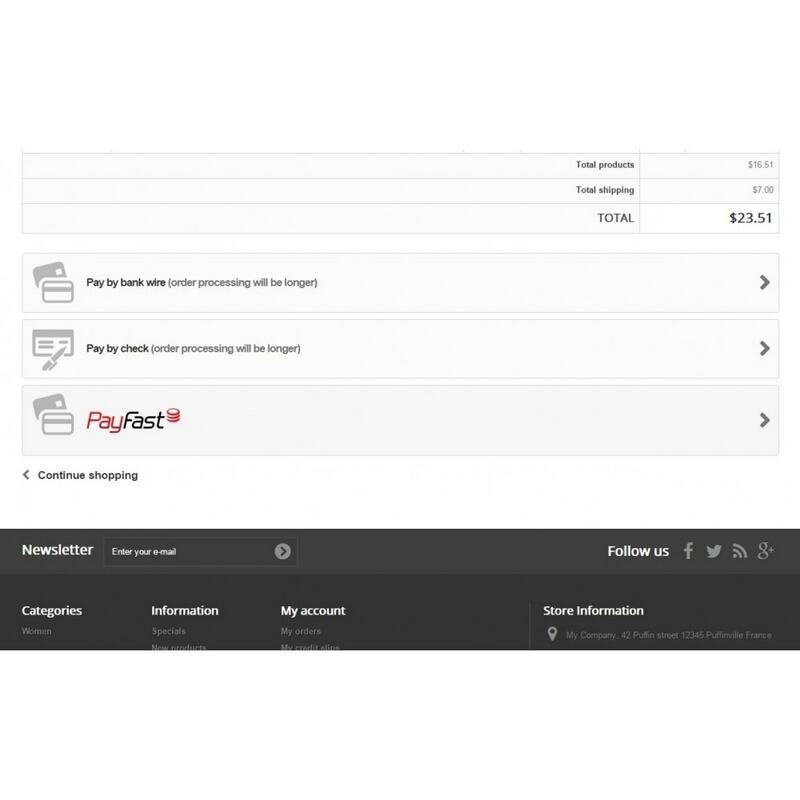 Also, Payfast accepts all sorts of payments, including EFT, Debit Cards, Credit Cards and Paypal. Payfast is a secure and affordable way to accept payments if you are in South Africa. You will be able to process Credit Card, Debit Card and EFT payments from your customers....securely. You will be able to accept and verify EFT payments from most South African banks in a couple of minutes. Uses latest secure technology to accept payments online through Payfast payment gateway. Your customers will be able to make a payment via a choice of options including EFT, Debit Cards, Credit Cards and Paypal. It also doesn't matter which back they are with, they can securely make payments via EFT and they can be verified in minutes. 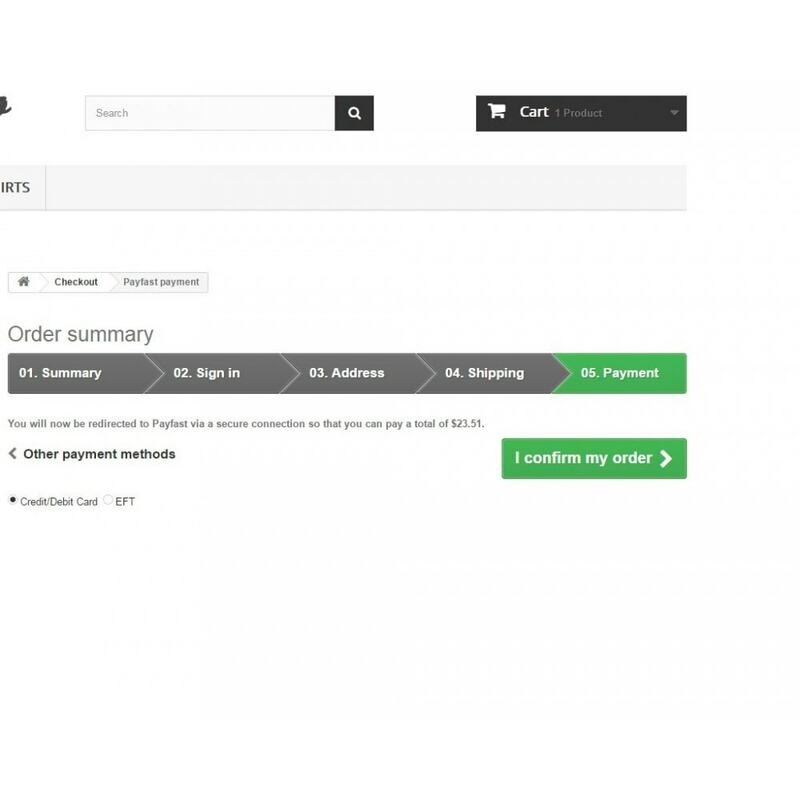 To test just install this module and in your shop take up a product and pay via Payfast. In testing mode, the module will function in Sandbox mode and that means you won't need a credit card to test. 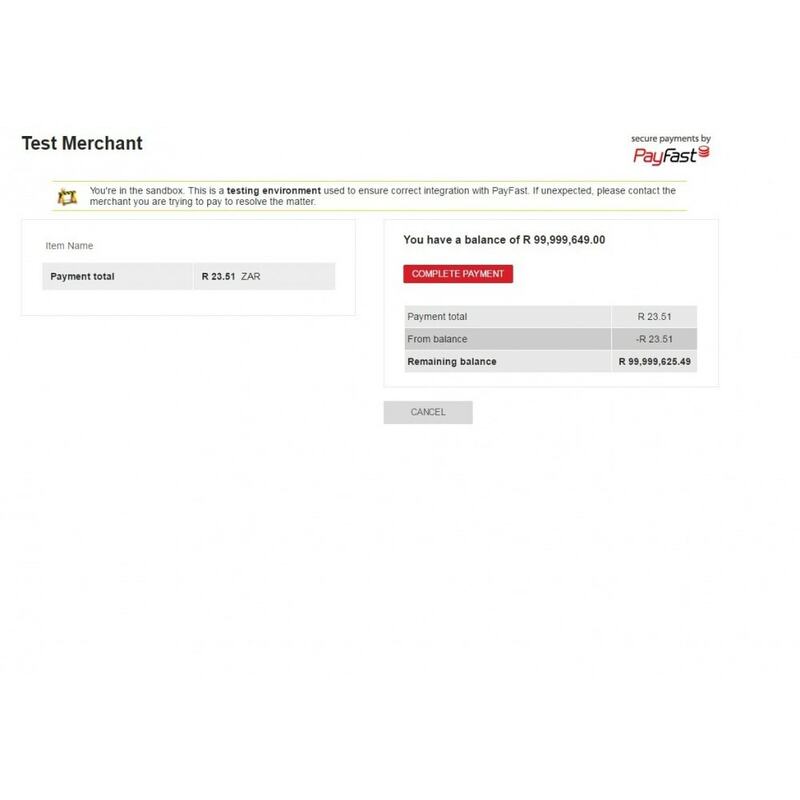 Once you move to live, you need to register with Payfast at https://www.payfast.co.za/user/register and upon registration you will be assigned a Merchant ID and a Merchant Key. Merchant Key: You will receive this from Payfast when you register. Merchant ID: You will receive this from Payfast when you register. Passphrase: This is a security passcode that you can configure on your Payfast Account. If you have not set the passcode on your Payfast account, leave this field blank, otherwise your payments will fail. If you have set it, make sure that you capture the same passphrase on this field. They must match,	otherwise the payments will fail.